Starting school is very exciting for a child who is doing it for the first time, and certainly for any pupil or teacher who is ending the summer holiday. 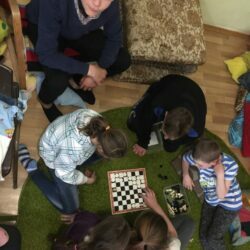 We were told that the Children’s Embassy Team in Ukraine is not only excited but panicking, as they need to help so many kids before the 1st of September: clothes , shoes, sportswear, pens, rubbers, notebooks and, of course, rucksacks need to be bought for those whose families cannot afford all this. We are excited, too, because we are going to participate in the panic for the second time already. To be honest, we saw no signs of panic last autumn – the Team had prepared everything admirably. 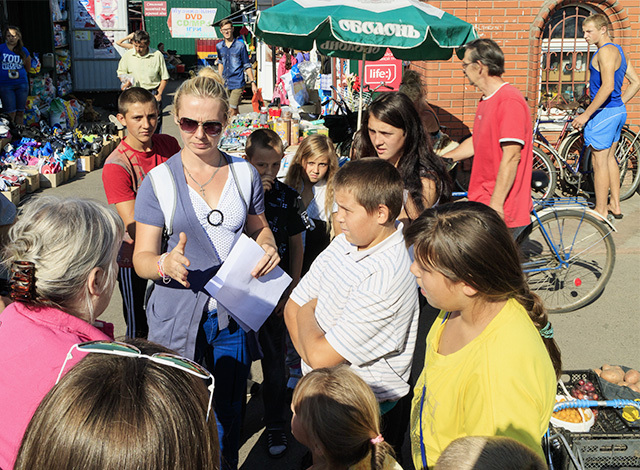 Each child’s needs were listed when we divided into small groups and went to the market. 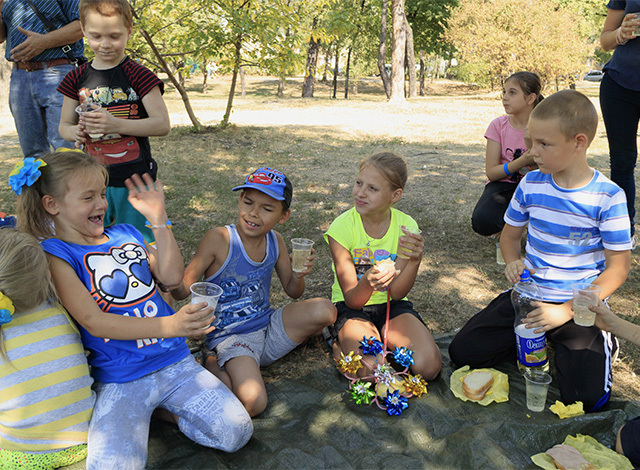 Each child found the fitting clothes and shoes, and then there was a picnic in the park to celebrate it all. Everyone received a bag of necessary school utensils and a letter of blessing. This is a happy kind of excitement for us. Last autumn, we saw what sensible help is. 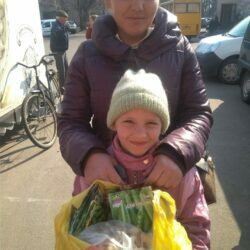 We saw happy children who could go to school with decent clothing. 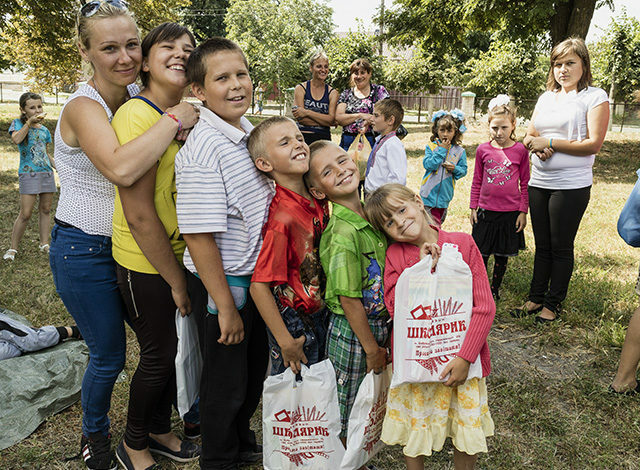 We saw children who could not have started school at all without the help of Children’s Embassy. 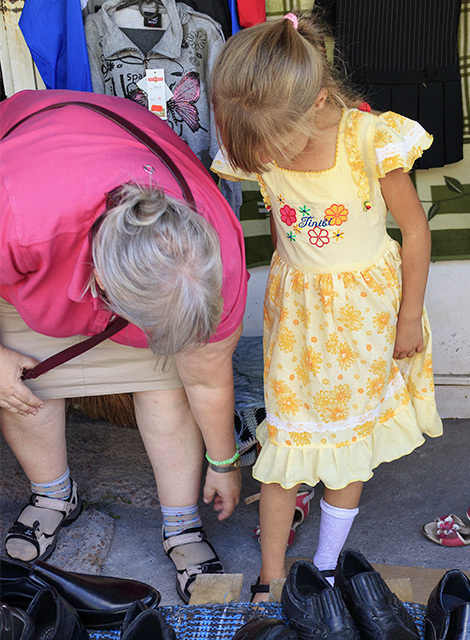 We saw how children were helped just as they were and just where they lived. We are going to write more when we get to Ukraine. 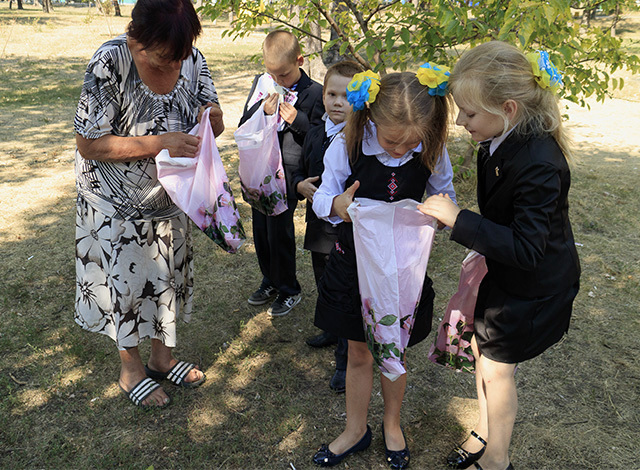 And the cherry on the cake will be the 1st of September in little Valya’s school. Thank you for our home.